Sunday, March 26th 2017 – An evening of mini Rijsttafel. 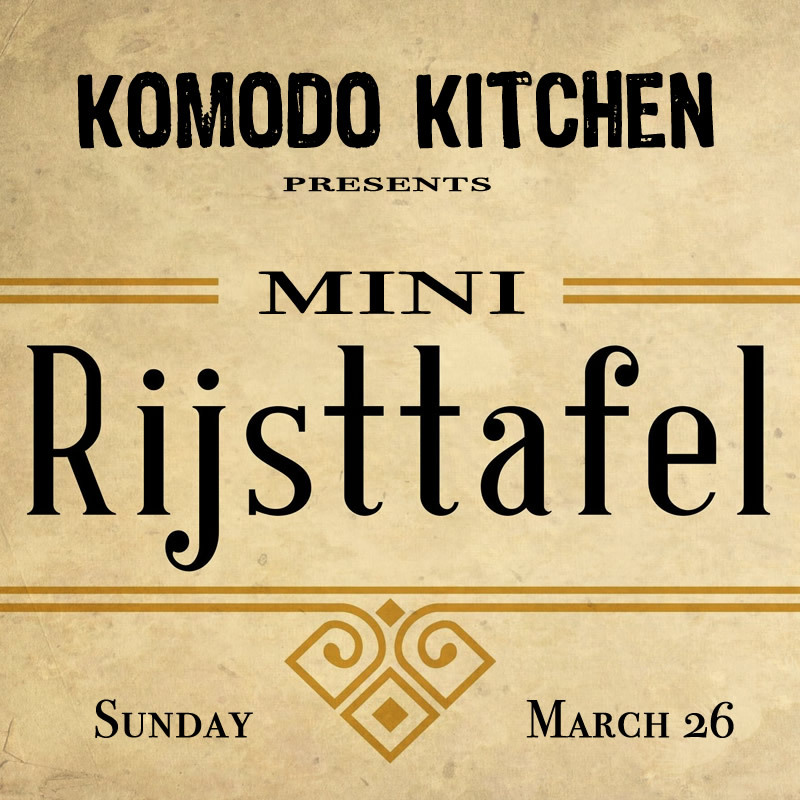 Mini Rijsttafel – an explosion of culinary flavours and colours from the spice islands! Gado Gado // steamed vegetables with our piquant peanut dressing, served with shrimp cracker.